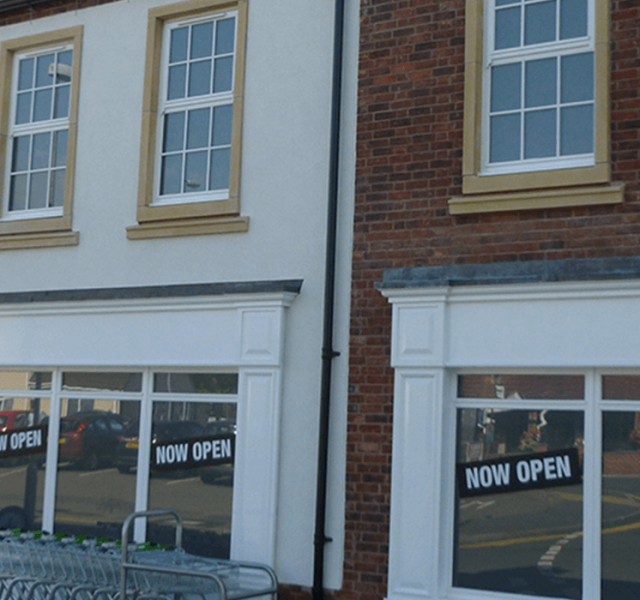 The Co-op Convenience Store, in Thringstone, has given new life to a public house, which had been boarded up and was considered a bit of an eyesore in the area. The property was fully refurbished and converted into a brand-new convenience store. 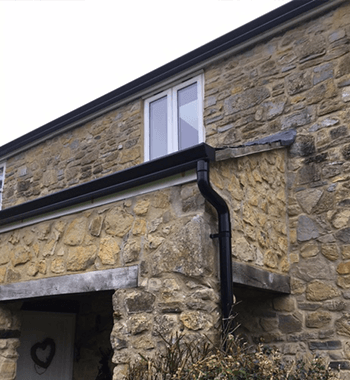 ARP received an enquiry through their website to specify a metal rainwater system to the refurbished property. 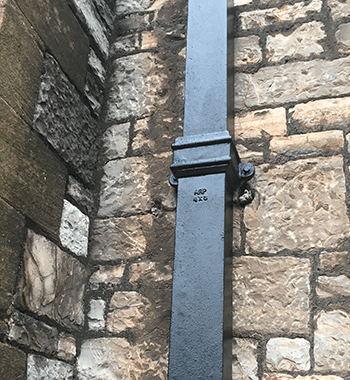 Providing a choice of product types and profiles was a key element for this project, as the client specified that the system had to be metal, in keeping with the style of the property and within their budget. Our highly experienced Sales Manager, Nigel Hancock took up the challenge and met with the client on site to present ARP’s extensive range of products. 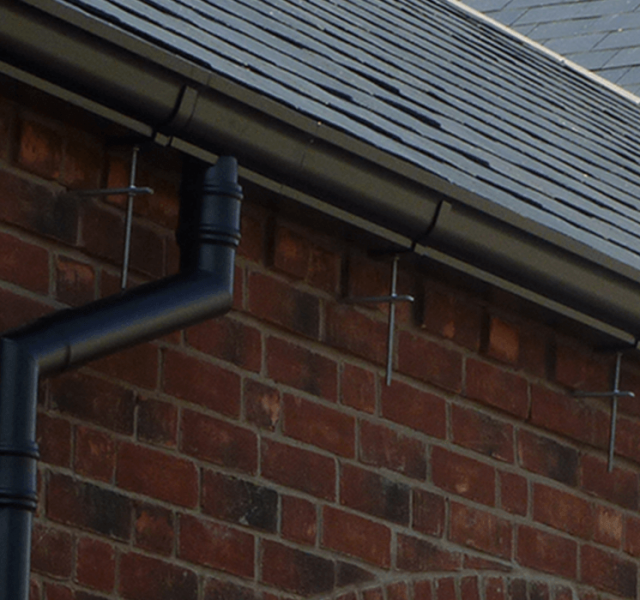 Once the choice was made by the client on aesthetics, Nigel then produced a comprehensive site measure and a competitive quotation to fit the client’s needs. 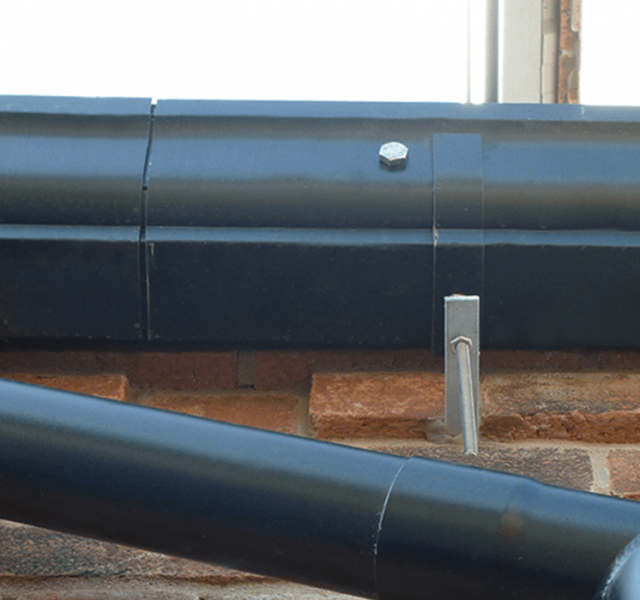 ARP’s Sentinel Vintage Ogee Gutter and Colonnade Cast Collared Rainwater pipes were chosen, fitting the brief perfectly. 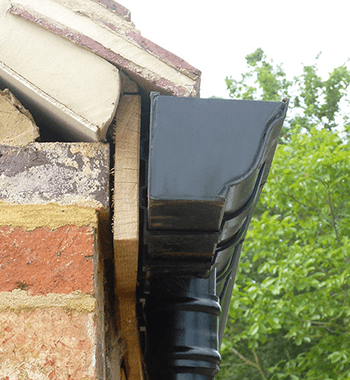 The Sentinel Vintage Ogee gutter range is available in dimensions of 100x75mm, 125x100mm and 150x100mm with gutter lengths ranging from 0.5 to 3.0 metres. All products are available in a mill or polyester powder coat finish. 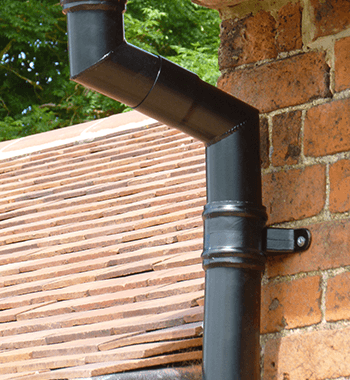 The Colonnade range of circular rainwater downpipes are available with a cast collar in 63mm, 76mm, 101mm and 150mm diameters with lengths ranging from 0.5 to 3.0 metres in mill or polyester powder finish. Aluminium is ideal for refurbishment projects like this, as it is strong, long lasting and a natural material. It is non-corrosive and low maintenance and will provide around 30 years of useful life if maintained correctly.